We here in America have a problem. It is a major problem. There are large number of people in this country, indeed I begin to suspect majority, who are sensing danger and destruction in our near future if this problem isn’t solved. Certainly it can be considered an economic problem, but I suspect that most people of come to the understanding that runs far deeper than this. There are a large number of people, who have correctly identified that the locus of the problem is in Washington. That said, they’re a little vague as to specifics. There are a large number of people who will directly blame Barack Obama for our current problems. These will tell us, that the president is inept. And that our problems, are because of that massive ineptitude. 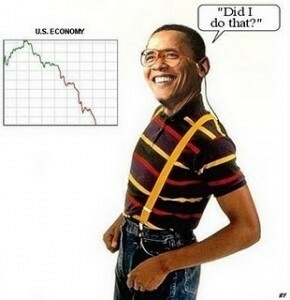 Certainly, Obama shares in the blame. Indeed, he is the representation of the philosophy that is to blame. No argument. Observe a rather forceful example; Can you possibly imagine anyone else managing to ramrod through a takeover of 1/7th of the economy, specifically medicine, without Congress even having read what is proposed? I certainly cannot. On that basis we have to assume that there is some political gravitas residing in the White House, and that logically, something else must be the issue. How might we identify this issue? It would certainly help if we started seriously and objectively looking at history. I’ve done so, and I dare to suggest to you that the problem is the degree to which the country has been tilted to the left. The kind of mess Jimmy Carter left us in is not often discussed, particularly by liberals, anymore. That’s understandable. It’s a kind of painful history for them. But Carter, being Liberal, implemented liberal policies, and so left us with 21% inflation or more. He left us with double digit inflation; he left us with an energy crisis which was artificially created by an abjectly blind foreign policy. Remember... the GOP leadership didn't like Reagan, any more than the left did. And that's a clue. didn’t like him. because he DID want to make waves… conservative waves. If you think I’m kidding, consider the 1976 primary…. and yes, ’68, as well. But the rank and file came up, along with a large number of Democrats, and Reagan got in with a landslide. With him came a large number of real conservatives into the Congress, particularly into the House. That has its own implications which I’ll get to momentarily. For the moment, however, let’s stick with what we have. Jimmy Carter and his policies left leaning as they were, unarguably were an unmitigated disaster. Given a landslide with which Ronald Reagan and those of Reagan Republicans were all acted, suggests that this is a fact that was seen very clearly by the majority of the electorate. They clearly saw liberalism as the problem, and with their vote sought to remove that problem. The fact is he was not. As a matter of fact, he had America heading into an economic downturn not unlike what we’re in right now. Now, there’s a lot of folks who will to this day argue the technicalities of this. But the fact is, that the economy had been on the skids for better than 6 months before Clinton left office. Andof course Clinton had his defense ready…. I remember spending a good deal of his time complaining about tax breaks for the rich. Rather like today, don’t you think? The fact of course is that the rich were already, by the time Clinton got into office, paying the result of a roughly 10% tax increase, whereas the poorest Americans had their taxes cut around 540%…. (Us census figures) And because Clinton refused to cut spending on anything but the Military…. which is in fact the only program Democrats have EVER cut funding on… we started downhill. Government spending exploded in a way that had not been seen until that time, as did prices of energy and along with that everything else. And yes, I hear you mumbling about a surplus. Let me make this clear; there was no surplus under Bill Clinton. they reported surpluses were actually projections which never materialized because spending was so wildly out of control under the Democrats. The only cut the Clinton have are enacted of his own volition were cuts on the military. Of course the left… and the press… (But I repeat myself) tried to pin the recession on GWB, but it was not so. Clinton essentially destroyed domestic energy production… oil, mostly, to satisfy OPEC. Again, blind foreign policy. And blind domestic policy, as well. Our economic boom of the bush and Reagan years, along with the first few of bill Clinton’s, was built on relatively cheap oil. Of course, supply and demand come into play here. Once Clinton destroyed our domestic capacity through the Liberal tool that is the EPA and other tools of a similar nature, oil prices started going through the ceiling, thus our economy started tail spinning. I’ll bet few of you reading this will remember the blackouts on the West Coast, the tail spinning stock market, and skyrocketing energy prices. That’s because they’re not often talked about in the polite circles of the liberal press. But they happened. But of course it’s all because we don’t tax the rich enough, we’re told. Here again, history takes a hand; when the income tax was originally devised, it was used as an attack on the rich. The income tax as originally devised ended up with a rather small percentage of tax, I believe it was something on the order of 1%. And it only a packed the rich. However, as time went on the tax went down as far as the middle class. The reason simple enough; that’s because that’s where the money is, as famous Bank Robber Willie Sutton used to say. Do we have any reason to think this “Tax the rich” thing will not come down on the ret of us, as has every “tax the rich” cry in history? Now, we are told by the left, that the tax deficits of the period were caused by the tax cuts issued by Bush SR. Of course, that’s not true either. Frankly, I’ve got a little tired of that lie, too. We don’t have an income problem, we have a spending problem. And then, as now, no survivable tax increase would cover the huge amount of spending being applied by the left. The problem was that the amount of spending coming out of the Democrats, far exceeded the increases in tax revenue caused by what recovery there was. What turned it around was the election of George W. Bush. Understand me clearly, here;I’m no fan of Bush…. either one… W was at best a centrist, as his father before him. Indeed, I consider the Reagan era, and the Bush era, to be two separate matters. Remember, Bush senior was given the vice presidential nod under Reagan because Reagan was seen by the GOP leadership to be too far to the right, and they felt a balancer was needed. 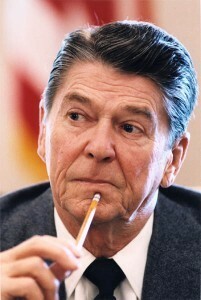 (The voters, then as now disagreed, thinking Reagan’s conservatism the answer to a national prayer. So the GOP leadership brought in an ostensibly centrist Republican. The fact is, he was somewhat to the left of center. Not as far as Clinton and Obama, but… he was certainly no conservative. To the degree that he was farther to the right than Bill Clinton, it was enough to get the economy moving again. We can go back further into history if you like, LBJ, Kennedy, FDR, ( I’ve already address the fact in another writing that FDR actually prolonged deepened the depression instead of solving it ) …etc.. But I trust the point has been made. In short, this country is in trouble to the precise degree it’s been tilted to the left over the years, and historically it has recovered to the degree that it has moved away from such leftism. The fact is, that what we have right now with Obama is what we would have had with Carter had Carter been somewhat more adept at politics. Put another way, Obama has put our country into larger problems in every way, because he was more successful at implementing liberal policy then was Carter. The idea that Obama also had super majorities in both houses of Congress, didn’t hurt matters too much either, from his point of view. But see; The problem has always been liberal policy, to the degree it is applied. The solution has always been moving away from that policy. I said last August, that Obama has done everything wrong, in terms of what the country needs. He’s done pretty well tending his own political needs, but the country has gone wanting. Everything he’s done every policy enacted…. 100%, right down the line…. has been an abject failure. But we can only call it a failure only if and I say again only if, we define success as a booming economy and an America that is strong in the world and free at home, and respects the rights of the individual first. Obama and the Democrats have been extremely consistent in this regard. I dare to submit that one does not get to that level of consistency without both talent, and intent. Again, I point to the Healthcare debug will, and how easily it was pushed through both houses of Congress and into law. Far from political ineptitude, this suggests a fair amount of political weight. I say, that it’s time to give up this myth of Obama incompetence. He knows damned good and well what he’s doing… and he’s doing as he intends. The problem isn’t a political ineptness, but a political stupidity and a blindness to the history of his own party, and his own politics, and their effect on the country and the world. Shorter yet… the problem is the policies themselves, not who enacts them. I have dared to raise the argument in the past that the destruction of America is what Obama intends. After all, one cannot rebuild the nation in their own image as he claims he wants to do without tearing down what exists, first. there is part of me that would like to think the best of people, and suggest that he really doesn’t know what it is he’s doing, doesn’t understand the repercussions of the policies that he’s put into place. but if that’s so, then what we’re dealing with is an abject blindness to the results. As to that blindness…There is, I suppose, a certain dedication involved. What I’m suggesting is similar to what I’ve suggested about Al Gore and his dedication to “global warming“. This website has often revealed glaring contradictions to the global warming myth. Others have done a better job. Yet we still have people who despite the facts believe in this tooth fairy of global warming. I suppose Liberal economic policy to be much the same. There will always be true believers. We just haven’t implemented the right policies yet. But if you talk to the communist party USA, who by the way avidly supports Obama, you’ll often find that phrase used there, as well. Socialism works they say, They just haven’t gotten it right yet…. ignore the destruction the previous attempts have caused. I suppose Obama could arguably be considered among these. But I tend to doubt it. His approach to just about everything, seems to me far more cynical than the average devote’ of socialism would emit. But don’t discount that blindness among rank and file liberals. I’ve seen it too often to ignore it. So have you. Supposedly, the big issue with liberals these days is profits by banks. Sorry, wrong answer. The fact is that the total 2011 pretax profits of the entire US financial sector stands at $426BUSD. That’s almost enough to fund the federal government for 42 days, given it’s current rate of spending. Almost, but not quite. Wanna take all those making a profit? Fine. The pretax profits of all private enterprise amounted to $1.88 trillion. That’s enough to cover the federal government’s spending for almost 5 months. I say again, the issue here isn’t that were not taxing enough, it’s that we’re spending too much. Way too much. And most of that is going to entitlements. Direct payment from government to individuals. As such, the usual leftie trick of cutting the military isn’t going to solve the issue, either. As it stands something on the order of 65% of our income is going to governmental taxes and fees when all levels of government are considered. Around here, we have an 8% sales tax. Add to that road taxes on gasoline… which of course never get to the roads. Add to that license fees. Then add all the taxes we’re heaping on corporations which are always passed on to the consumer as a cost of doing business. Now add the costs of unfunded government mandates on corporations in what they build… adding at least half the cost to any car or truck you buy, as an example. What are these, but a tax? And on it goes. Taxes are too high, government is too large. I hope you will forgive me the observation, but I am less than impressed that the solution is more taxes and more governmental power. The main problem with the Liberal solutions which are being tried yet again don’t work. They never have. They never will. There is no instance in the history of the world where a nation has ever taxed itself into prosperity. No instance of success in freedom, where are all power has been given to government . Government redistribution cannot create wealth. It never will. These are points that even China has begun to figure that out, along with Russia. Government control doesn’t work, either. As an example, if gun control actually worked, there wouldn’t be any violent crime in Washington DC or NYC. As someone who visits both frequently, I can tell you that crime is doing rather well in both those locations. Carl Rowan seems a fair example of the real results of Liberal non-thinking in that regard. Oh, you don’t remember him? Simple to solve that problem. The bottom line is real and carried his own gun because he knew a liberal policies wouldn’t protect him. In fact,he knew liberal policies endangered him… and he reacted accordingly. In any event, Liberals in this country haven’t learned that lesson yet that their policies are the problem. As Reagan himself used to say…. government isn’t the solution…. government is the PROBLEM. And that’s where the large number of congressional conservatives that came in under Reagan I mentioned before comes into play. I suggest that more conservatives are going to be in office as a result of Obama…. and I mean real conservatives… not the wannabes like Romney and McCain and Hunstman… that whole crowd can drop off the planet so far as I’m concerned. If such people gain power in this next election, such “moderates” we as a country we will be as toasted as we’d be with four more years of Obama. Must we continue to suffer while they figure that out, (or more likely while they don’t figure that out) and continue to chase their utopian nightmares? I strongly suggest to you that it’s time that we stopped blaming everything else but the real problem for our current dilemma; the problem is liberalism. We are the 53%. We’re the ones supporting the 47%. N0 wonder we need two jobs to make ends meet. The solution is the removal of it. The problem is government, and the power therein. The solution is the lessening of it. It’s time we acted accordingly. It gets even more involved, in ways historical, that complicate these matters further and show how we Americans understand our government(s) in very shallow contexts. But you’ve done a good job summing up the dilemma we’ve arrived at. Our solutions consist of cutting deep and growing a lot, and praying. Frankly, martin, I wonder sometimes if we have the capacity, anymore.